World Kitchen, the owners of the Revere Ware brand seem to have moved further away from treating the Revere Ware brand as anything special by abandoning a Revere Ware specific site; they now include Revere Cookware with all other brands on their site. Another sad milestone in the modern day story of the once revered (pun intended) brand. 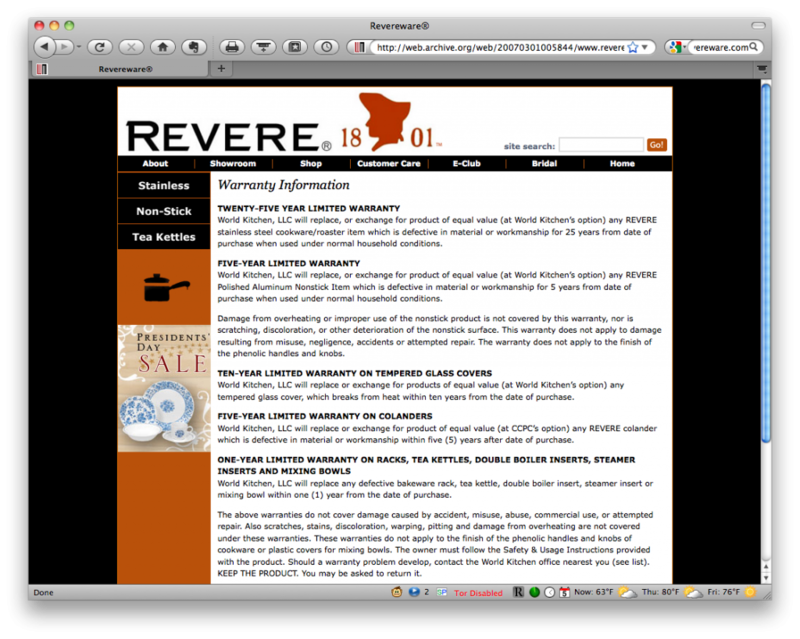 Unfortunately they have also removed any mention of the history of Revere Ware and made their contact page and information about their warranty very hard to find. Their contact page can be found here and their warranty links are all listed at the bottom of their FAQ here. Where can I get knobs and handles for my Revere cookware? We discontinued our Revere repair service in 1986 and we no longer have the replacement handles, knobs, or hardware for your cookware. We are sorry for any inconvenience. Revereware does carry a 25 year warranty and we may be able to provide you with warranty service. Please call our Consumer Care Center at 1-800-999-3436. Why does my older Revereware seem heavier than my newer cookware that looks the same? Through research and testing, we’ve learned that the same cooking results were achieved when using lighter materials. By making this information harder to find, we can only assume that World Kitchen is wanting to make it harder for customers to receive warranty replacement of cookware under their warranty. Prior to this, they had a very low reply rate on emails sent to them with warranty questions. I personally received responses to one of five emails. We continue to support the older (and newer) Revere Ware by making replacement parts available and will be introducing more handles, hardware, and gaskets in the next month. 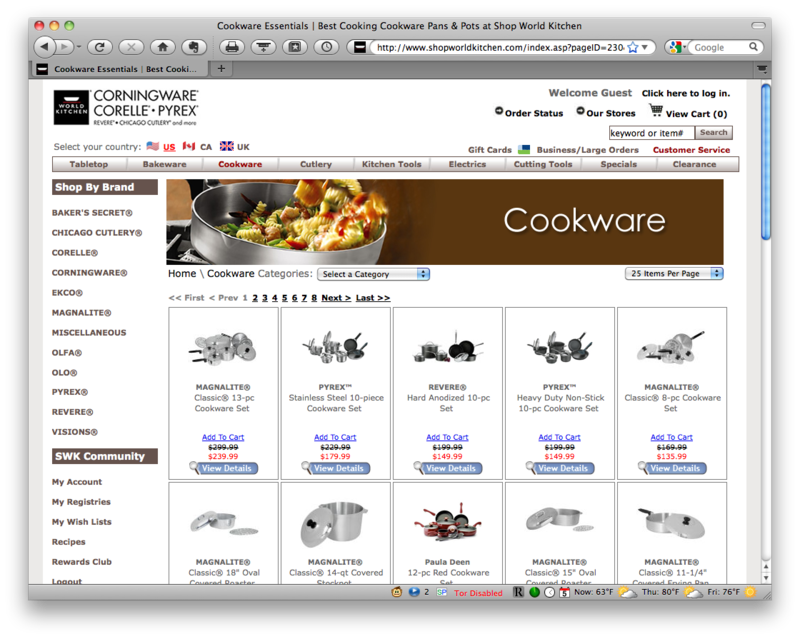 Also be sure and try our Ebay categorization tool for Revere Ware to find replacement cookware. I have a Revere 6 quart teflon lined pan (SM-D06) and the handle is coming loose. How do you replace this handle or repair it. Unfortunately we don’t have any specific information on repair or replacement for this handle other than to contact Revere Ware to see if it can be replaced under warranty. You can reach them at 1-800-999-3436 or http://www.revereware.com.